American counterterrorism forces are active in 40 percent of the world's countries – and their presence comes with striking repercussions. As we enter the 17th year of the United States' "war on terror," it is both appropriate, and necessary, to take stock of where our troops are located and for what purpose. The deaths of U.S. soldiers this fall in Niger were a stark reminder that much of the American public, and even many of our country's lawmakers, aren't exactly sure what the war on terror looks like, much less where many of our other military operations are located. 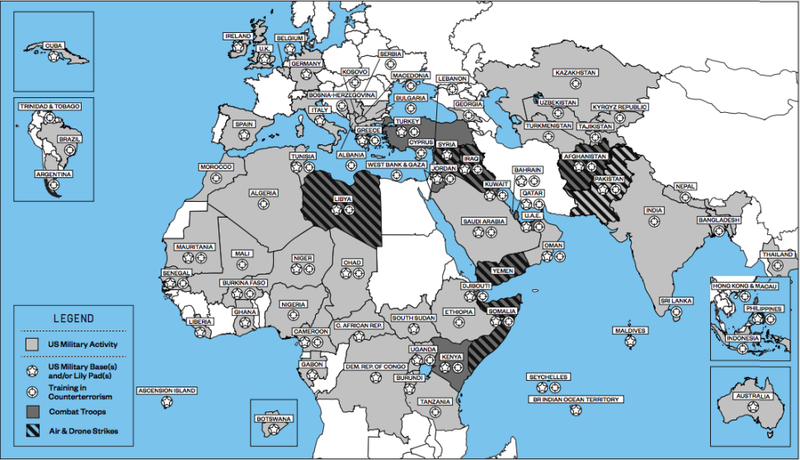 According to a new map published this week by the Costs of War Project at Brown University's Watson Institute for International and Public Affairs, the U.S. is waging this war on terror in 76 countries – or more simply put, 40 percent of the countries on this planet. WNU Editor: If you include U.S. intelligence services, one can make the argument that the U.S. is everywhere.